November 10, 2014 — Putting power into the hands of the people is, quite literally, Erik Hersman’s life’s work. With the help of mobile phone technology, open-source software and a team of socially conscious entrepreneurs, the Kenya-raised tech guru has emerged as one of the foremost leaders in Africa’s growing digital democratization movement. His mission: to change the way information flows from the current top-down structure, led by government and media, to a collaborative community-curated system using accessible software, affordable devices and unique cross-sector collaborations. Six years ago Hersman was managing tech blogs about African ingenuity when he co-founded Ushahidi, a nonprofit company that developed geo-mapping software to pinpoint violence during Kenya’s disputed 2007–08 presidential elections. Prompted by government-mandated media restrictions during that period, Hersman and colleagues began brainstorming new ways to get around the media blackout and communicate about the chaos. All told, Ushahidi has served as the tech backbone for more than 60,000 maps detailing environmental issues, elections and human rights abuses in 159 countries and 31 languages.In just three days, the team created a software program that gave ordinary Kenyans the ability to text message reports of violence to a central digital location where they were made into crowd-sourced maps. Those user-submitted reports painted a clear picture of what was happening and provided a level of accuracy and timeliness the local media and the Kenyan government could not. Within two months, hundreds of thousands local residents, expats, nonprofit organizations and journalists logged onto Ushahidi’s website to contribute to the creation of detailed crowd-sourced maps of the violence in Kenya. Since then, Ushahidi — which means “testimony” in Swahili — has morphed into a sophisticated nonprofit software provider. Today it hosts not only its signature software program, but others as well that allow users around the world to create interactive, crowd-sourced maps about issues such as water availability in Tanzania, illegal land seizures in India and polluted waterways in Louisiana. All told, Ushahidi has served as the tech backbone for more than 60,000 maps detailing environmental issues, elections and human rights abuses in 159 countries and 31 languages. Those user-generated maps are often part of a larger advocacy effort, giving eyewitnesses, stakeholders and media outlets the opportunity to provide input and catalyze change. For example, the environmental organization Louisiana Bucket Brigade creates Ushahidi maps to track reports of chemical accidents and oil spills in the Gulf Coast. The maps are then used to pressure environmental pollution control agencies, and oil and gas companies such as BP, to increase pollution monitoring and reduce the likelihood of future industrial accidents and spills. 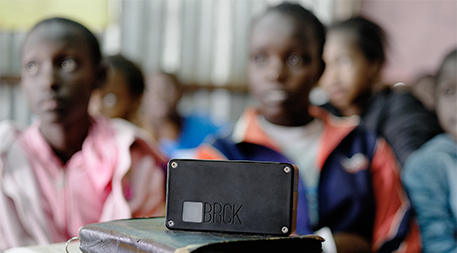 Billed as a “go anywhere, do anything, self-powered, mobile WiFi device,” Ushahidi’s BRCK is helping extend the power of the Internet around the world. Photo by Jeff Maina/BRCK. 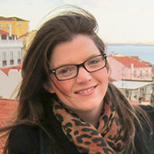 The success of Ushahidi was originally a shock for Hersman. “When people started making a lot of noise about it, we were a little surprised because there was nothing new about the technology,” he says. He soon recognized it wasn’t the technology that made Ushahidi special, but rather “the use of technology in a different way,” he says. Building on that theme, the nonprofit has expanded to offer tools such as CrisisNET — which Hersman calls “the equivalent of the tickertape in Wall Street, but for crisis data” — and BRCK — a “do anything, self-powered Internet device” that can establish a Wi-Fi signal anywhere from New York to New Delhi. But Hersman’s mission goes beyond open-source software and mobile technology. Motivated by the need for a space to host like-minded tech innovators as well as a desire to give back to his own community, in 2010 Hersman established Nairobi’s Innovation Hub, where local hackers, programmers and techies gather to talk innovation and collaboration in Africa. With initial backing from Ushahidi, iHub quickly became self-sufficient enough to “spin out on its own,” Hersman says — a goal he strives for with all his projects — incubating some 150 start-ups and generating more than 1,000 jobs to date. “Know your vision and mission, and know where you’re going. Use a compass, not a map.” — Erik HersmanHersman is also a partner of Savannah Fund, a venture capital firm that invests seed money in promising technology companies in sub-Saharan Africa, thereby fostering new entrepreneurial talent across the continent. Backed by well-known investors like Dave McClure of 500 Startups and Russel Simmons of Yelp, the Savannah Fund has raised over $8 million since 2012 and launched 15 businesses, including a company that develops mobile phone–based tools for small farmers in Kenya and a start-up that helps travelers find off-the-grid vacations abroad. Despite the abundant progress in empowering citizens and bolstering Nairobi’s emerging role as a technology talent hub, Hersman says there’s much more work to be done — though likely not in a linear path. For his part, Hersman continues to be guided by one core mantra.